To control the temperature of your fermenting beer, you need a way to cool and heat it. This is usually done by hacking a fridge to install a heater inside and to give BrewPi control over the compressor. Solid state relays (SSRs) are used to control 110V or 230V AC power to the heater and cooler with a small control signal from the BrewPi Spark. The BrewPi Spark will read the temperature sensors in the beer and fridge and will turn the heater and cooler ON and OFF when needed. 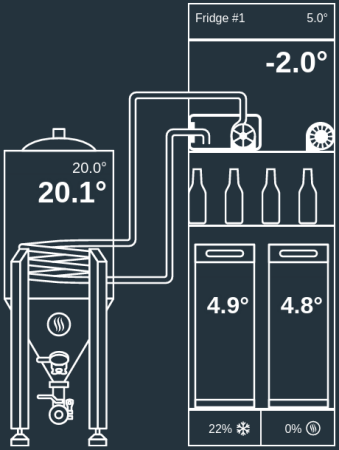 All the temperature control algorithms runs locally on the Spark, so that it is fully autonomous to control your brew. You can see how your beer is doing on the color display. 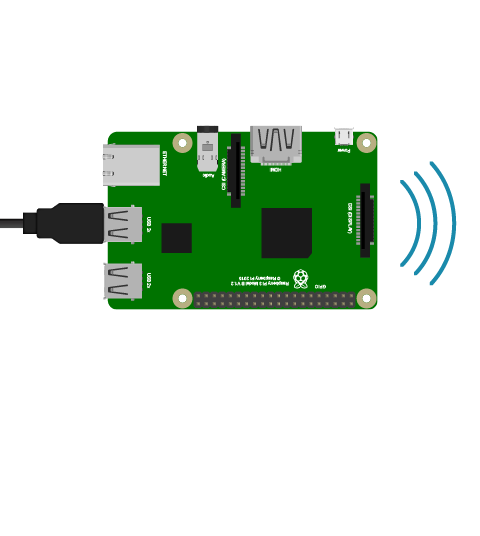 The Raspberry Pi communicates with the BrewPi Spark over USB and logs brewing data. It also runs the web interface so you can monitor and control your brew via your browser. 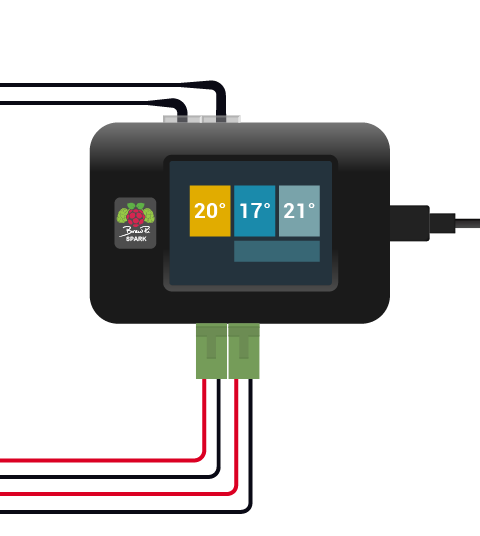 The Raspberry Pi connects to your home network and it is the central web server for BrewPi. From any other device on your network, you can access the web page served by the Raspberry Pi. 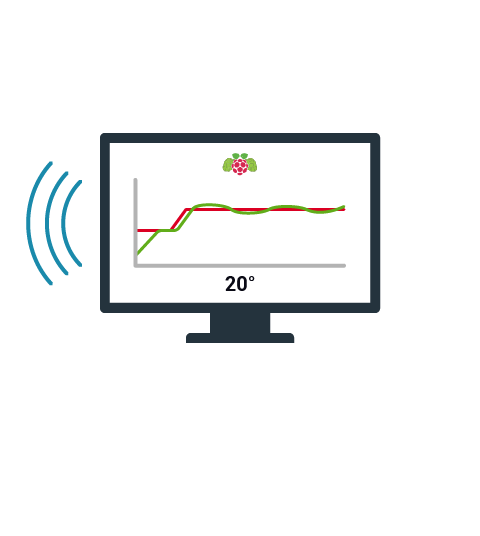 On your BrewPi webpage, you can start and stop a brew, change your temperature profile, view charts and change settings. We think a big part of what makes brewing fun, is designing and building your awesome brewery. Finding the right building blocks can be hard, but we got you covered. We put a lot of effort in finding high quality parts and if we cannot find them, we design them ourselves. Our brewing setups are 'bring your own kettle'. You pick the kettles, we have the rest. Combine as you like, it's your party. Start small and expand later or go all out and automate everything right away. BrewPi will adapt to your needs. What's next for our brewing software? We're still adding new features to BrewPi. In fact, we're doing a completely redesign of our software to make it more flexible and user friendly. All software updates will come for free, to new and existing users. The PID algorithms in the BrewPi Spark can already be used for mashing, but the user interface is still heavily fermentation oriented. 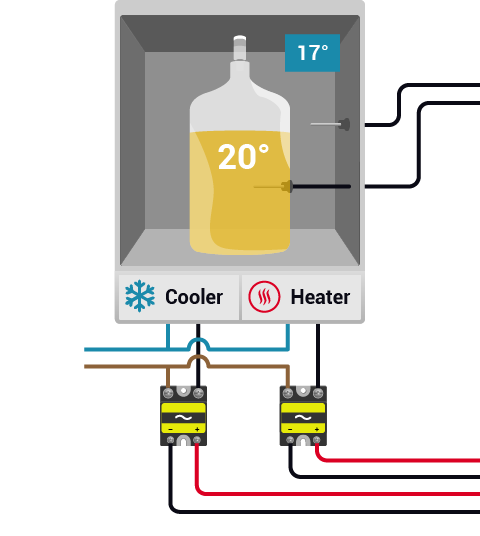 We're working on a new interface that's easier to use on brew day, so you can directly set your HLT temperature, mash temperature, boil intensity and even control your pumps and valves. When brewing, you'll have to either swap a lot of hoses or open and close a lot of valves. If you brew often, automating this process will save you a lot work. We're building a new tool in which you can drag and drop parts to create a layout for your brewing setup, set up your brewing steps and apply them with one click. This will toggle your motorized valves, set temperatures and control pumps. BrewPi currently controls just one beer in one fridge, because it wasn't designed with more in mind when it started. We are now rewriting our firmware, web server and user interface to control multiple processes. When this is ready, there will be no limit on the number of sensors, outputs and PIDs. You can control multiple fermentations, kegs, mash, etc. Shield code on GitHub and UNO compatible! Hello folks! Previously we posted about the BrewPi case to house all the electronics. 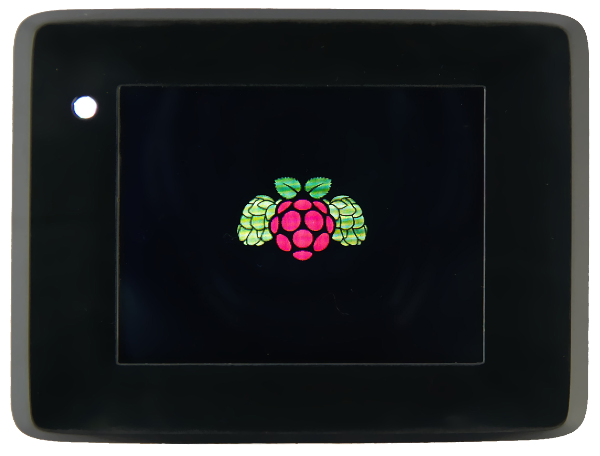 We’ve found time to update the design of the BrewPi case and we made our first prototype, what do you think? We're a small company from the Netherlands developing innovative brewing hardware and software since 2012. Our goal is to help small brewers to build awesome breweries. 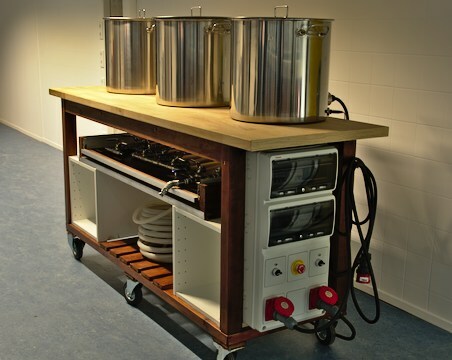 We do that by developing open source brewery control software, temperature controllers and many other building blocks for small scale breweries. We ship worldwide with FedEx. If you enter your postal code in the shopping cart on store.brewpi.com you get an instant quote for the shipping costs. If you have a question or need advice, you can post on our community forum or create a support ticket with the form on the right. Consent I agree that BrewPi can keep records of the information entered in this form in order to provide customer service.